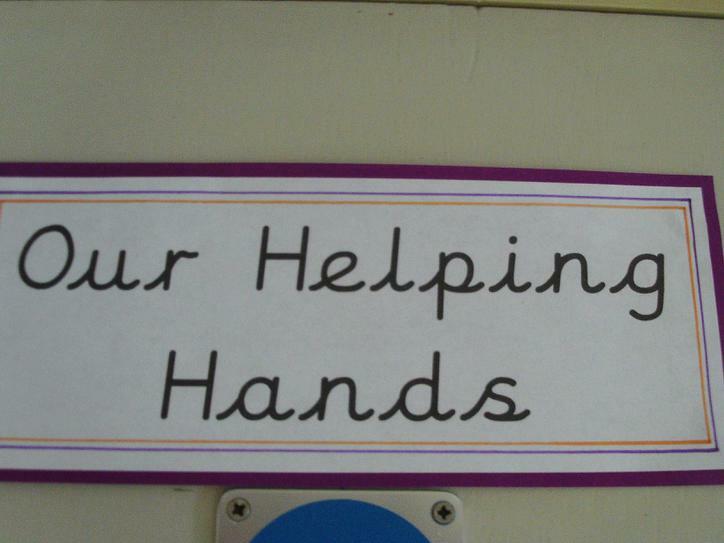 Year 1 have been talking about times when they have helped someone in need. 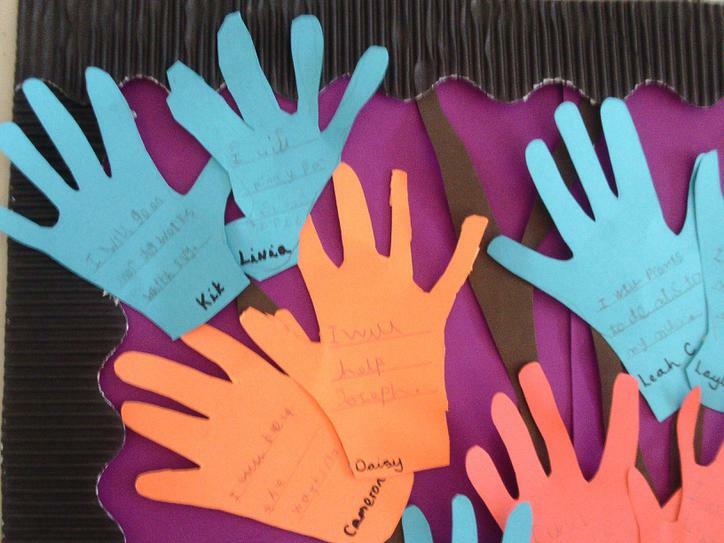 They reflected on why people help each other. 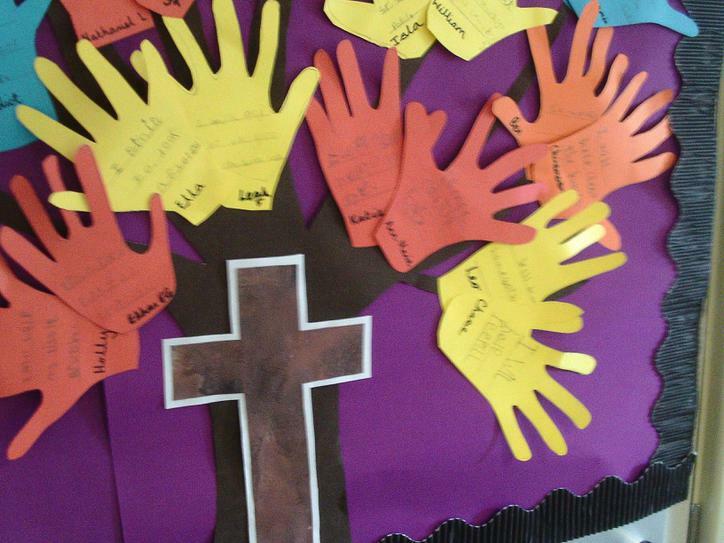 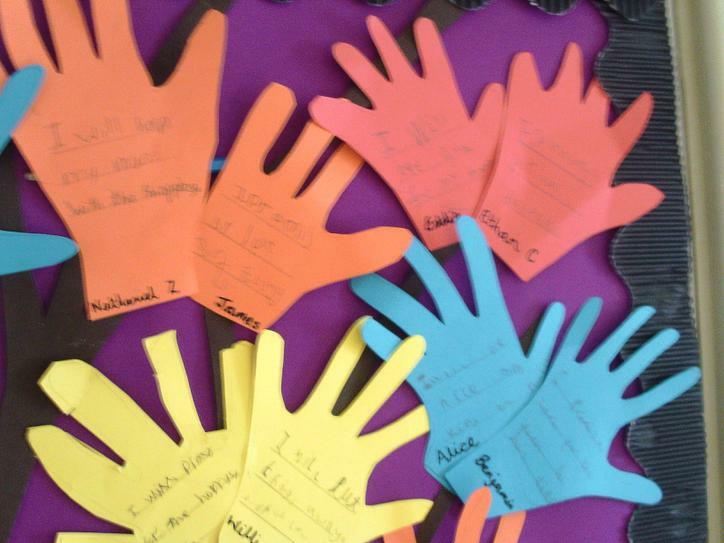 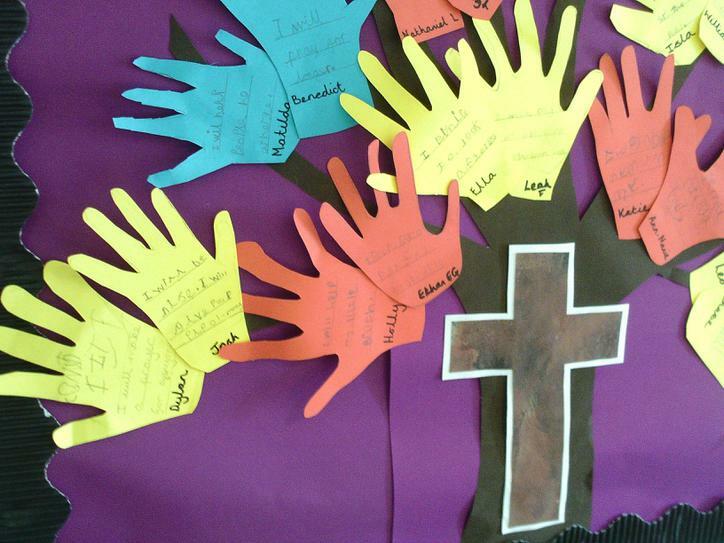 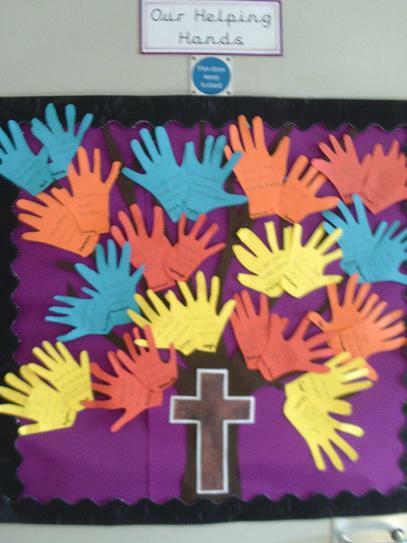 The children drew around their hands to create our 'helping hands' display.